In 2017, we will travel to 21 different races. We consist of one toter home, one trailer, 3 full-time staff, 1 contracted employee, and multiple volunteers. Our unit is entirely self-contained: trailer, tent, toys, video games, chairs, food and more bounce down the road with us – all packed snugly in our unit. 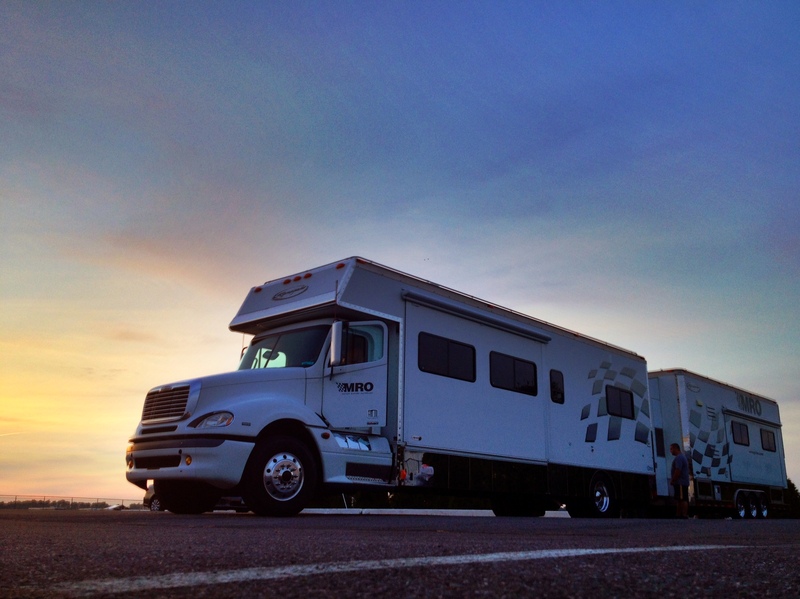 Staff and volunteers are housed in the toter and trailer during race weekends. Our mobile unit: toter with trailer attached. We serve the NASCAR community – there are approximately 2,000 people who travel on the NASCAR circuit and ALL are welcome at the Community Center. If you work in the sport (media, driver, crew, race shop, coach driver, PR, and more! ), the Community Center is for you! You and your family are encouraged to visit us at-track! We would love to serve your family…Mom, Dad, Grandma, Grandpa, Aunt, Uncle, Brother, Sister, Cousin, Friend, Boyfriend, Girlfriend – come one, come all to the MRO Community Center! We want you to know that the Community Center is a safe place. You will be accepted here. You matter to us because of who you are – not your occupation or position in this world. No one will ask for your autograph or bombard you – we are a haven for you to just be yourself. We are safe for your family – we offer a place away from your job and daily stress that gives you the opportunity to be together as a family. We want to encourage your family and teach your children about the things of God. We want to help them grow in principles like honesty, integrity, love, and grace. We want to create opportunities for them to learn about themselves, other people and God. We want everyone who comes under our tent to know that God knows them, loves them, and has a plan for them.